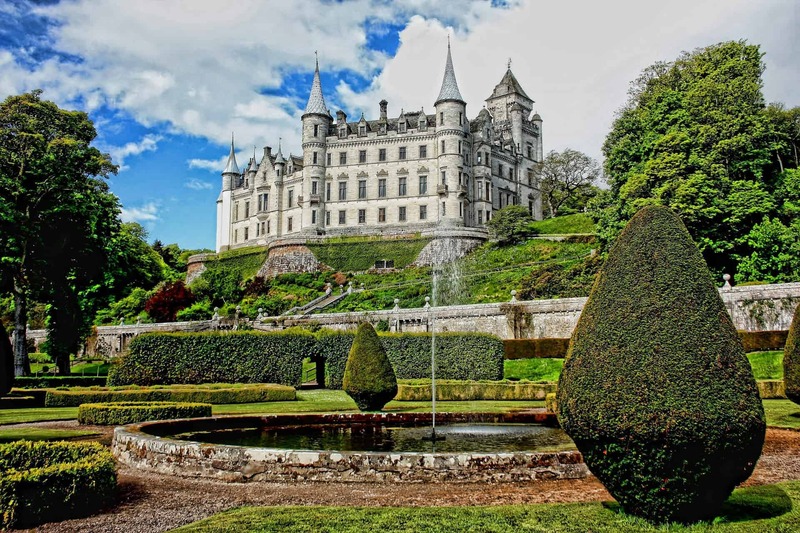 Dunrobin Castle is one of the grandest stately homes in Scotland, and a venue that should be at the top of the list of destinations for any visitor to the Highlands. This is a castle that you’ve probably seen in loads of articles online but haven’t even realised that it’s actually located in Scotland, mainly because it looks exactly like a French château rather than a Highland fortress. 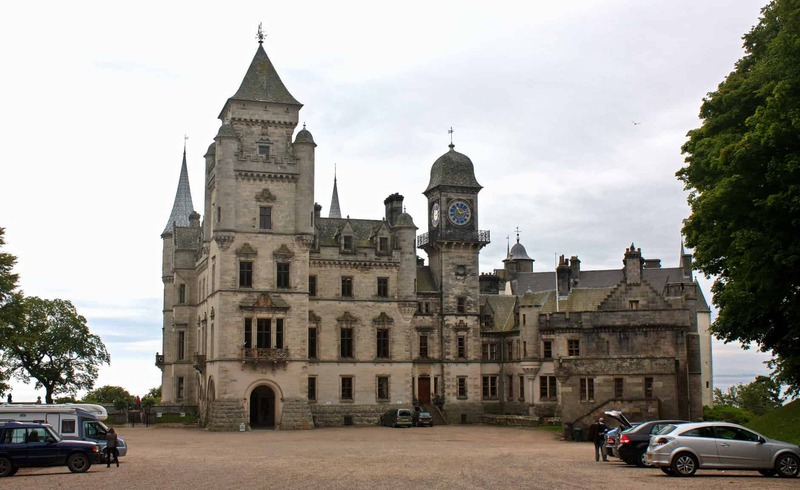 Dunrobin is the most northerly of Scotland’s great country houses and has a history dating back over 700 years, a history which is made even more impressive by the fact that the same family has lived there for the majority of that time. 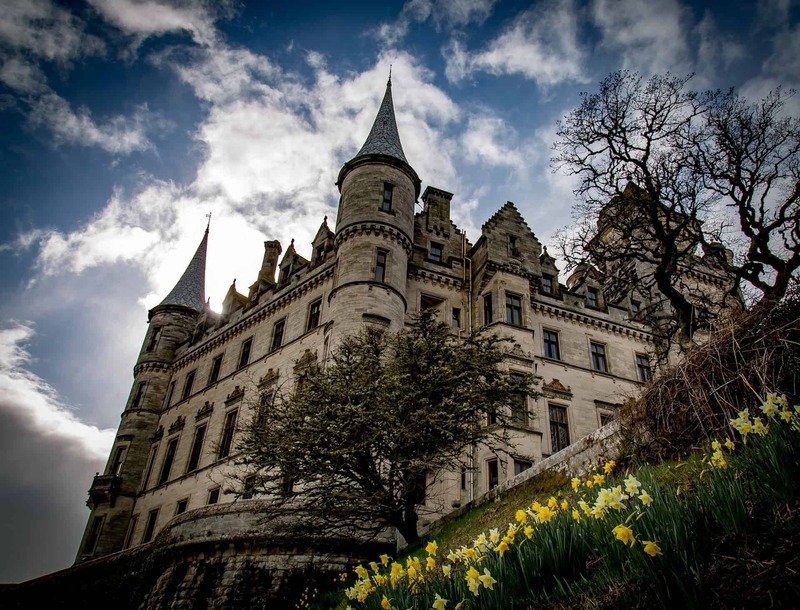 Overlooking the beautiful Moray Firth, Dunrobin Castle has more rooms and hidden chambers than you could ever hope to explore in a single day, and in total there are an incredible 189 rooms inside this majestic building. As you walk around the stately home on your guided tour you’ll discover rooms tastefully decorated with period pieces of furniture while the outside gardens offer lovely walks through manicured grounds that look out across the North Sea. 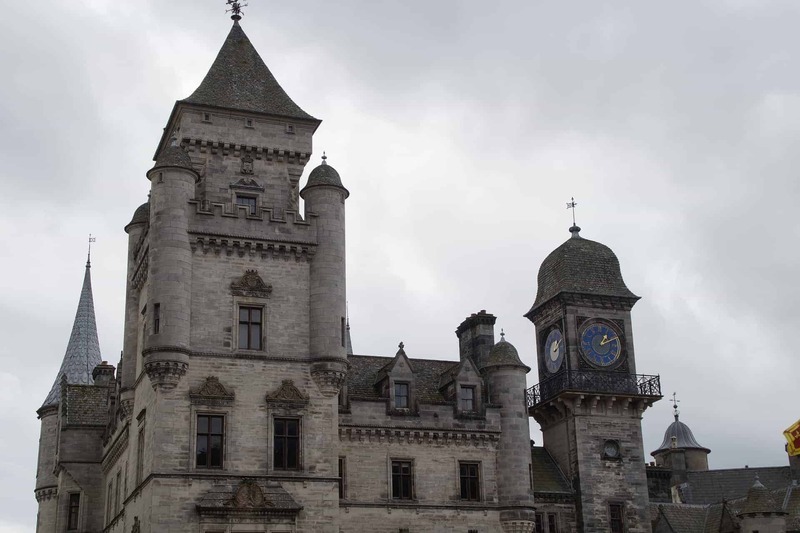 There’s a surprising amount of things to see and do at Dunrobin Castle and although the entrance price is a little on the pricey side I have to say a visit here is a ‘must-do’ if you’re visiting the area. Starting with your tour of the castle you can’t help but be impressed by the gleaming white facade on the exterior with its circular turrets poking out of the roof. It really does look like something out of a Disney film and when the sun’s shining it’s impossibly pretty, and in my humble opinion is the best-looking castle in Scotland. Leaving the grounds till later, you’ll enter the castle interior which is a highly impressive hark back to a bygone age of beautiful furniture and enormous family portraits, and every room appears to have been restored to the condition it would have been in during the castle’s heyday. Wood panelling and painted frieze’s seem to cover every square inch of the walls and there are some fine examples of ancient weaponry displayed throughout the castle’s interior. What’s also displayed – and what a few fellow visitors weren’t too happy about – are a huge number of animal trophies, some which would not be allowed to be hunted today. While this aspect of Scottish-nobility culture is long-gone it’s worth being aware of it before you visit, especially if you feel you might get upset seeing lots of dead animals displayed as trophies. 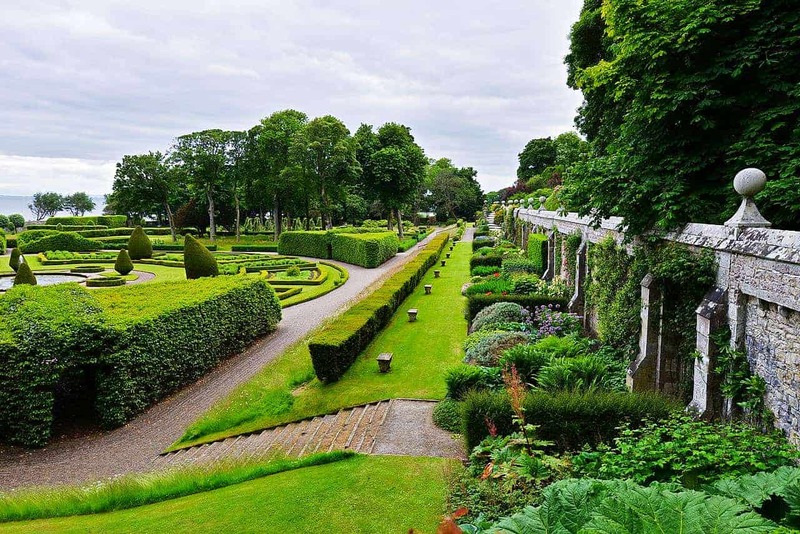 The interior of Dunrobin is a fascinating walk through the past, but perhaps the best part about a visit to this historic attraction is the expansive landscaped gardens which are set out in a formal style which resembles those found at the Palace of Versailles. 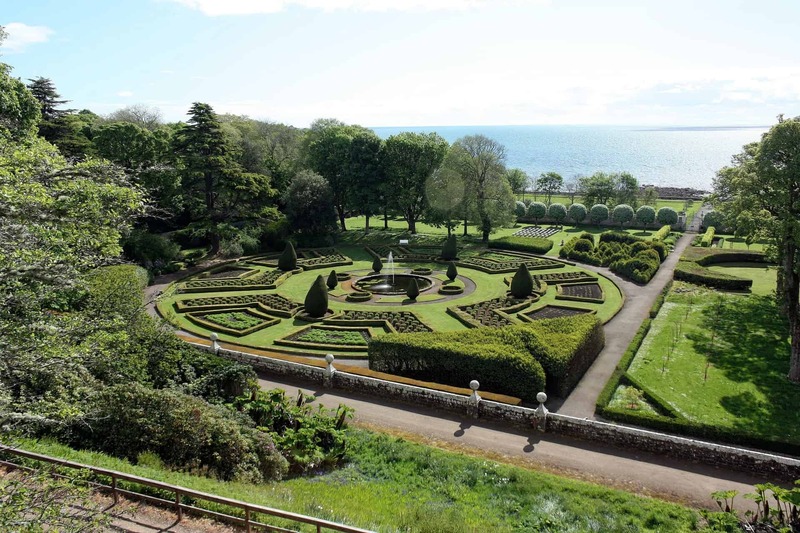 While much, much smaller than those in the palace, the sheltered gardens are home to a huge variety of plant species and in summer they’re exceptionally beautiful, especially when viewed from the castle terrace where you can watch the sun glinting off the sea in the near distance. The word ‘idyllic’ immediately springs to mind during a tour of Dunrobin Castle. Make sure you take a look inside the enormous former summer-house while you’re in the gardens, as this is where you’ll find the castle museum. The collection here contains artefacts collected by the Sutherland family during their many worldwide tours (with the majority of items sourced in Africa) but also includes ancient Scottish relics from the time of the Picts over 1500 years ago. The museum is a fascinating place to explore and definitely lives up to its title of being one of the best private collections in the entire British Isles. 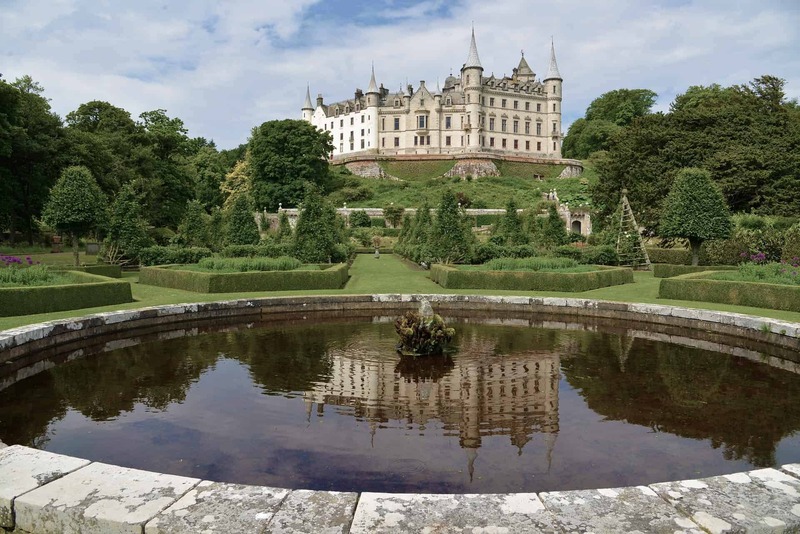 A trip to Dunrobin Castle will be perfectly rounded off by watching one of the falconry displays that take place in the gardens twice a day and you’ll get to see demonstrations with several raptors including a golden eagle and peregrine falcons. It really topped off the day watching the expert falconer demonstrate the hunting abilities of these beautiful animals and it’s a great photo opportunity – and good fun too. 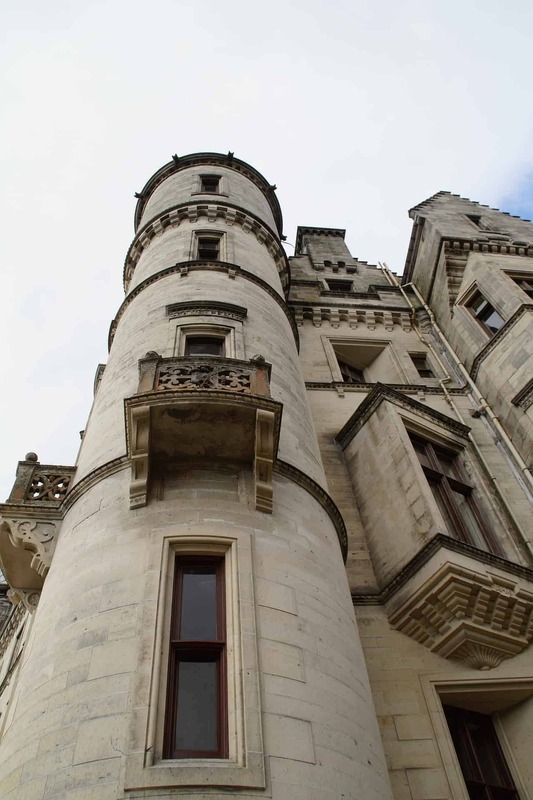 I have to say, visiting Dunrobin Castle is something you really should try to do if you’re ever in the far north of Scotland, and I guarantee you’ll have a brilliant time while you’re there. Dunrobin Castle has been home to the Earls and Dukes of Sutherland since the 13th century when the lands of the Earldom of Sutherland were granted to the family, and it’s known that a fortification of some kind was built on the site of the modern castle shortly after the Earldom was created. While the earliest incarnation of Dunrobin (which means ‘Robin’s Fort’ in Gaelic) was a simple square keep it was renowned for being an impenetrable fortress, with walls six feet thick and looking out across the north sea from a high cliff-top position. It must have been an imposing sight and the Earls of Sutherland kept the fort in this style for another 200 years until a housing quarter and staircase were added, and then from the 16th-century on it was extended and modified into the fairytale castle we see today. The first of these modifications were added in 1785 when a large extension was built around the keep, while a complete remodelling of the building began in 1845 to convert the keep into a house in the Scottish Baronial style that can be seen across many of the great houses in Scotland. It was during this stage of re-modelling that the conical towers were added and the gardens were re-laid in an effort to mimic Versailles (and I think they did a pretty good job of it too). 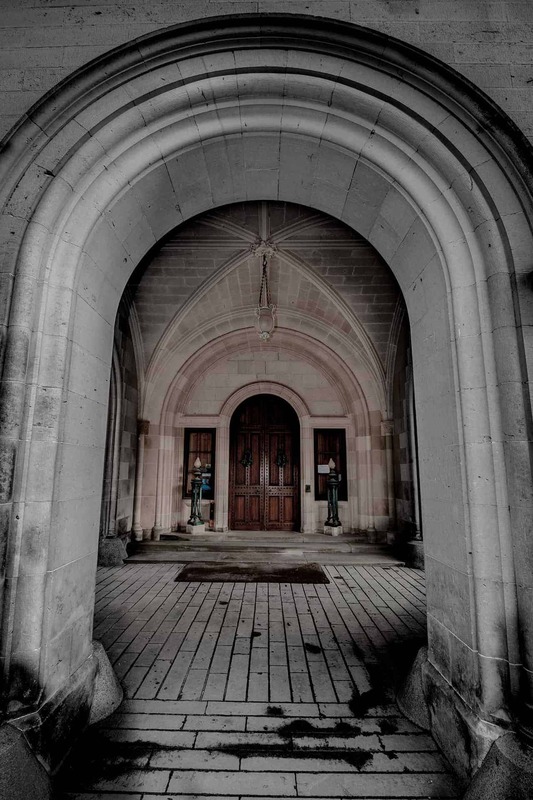 Unfortunately, a great fire destroyed much of the castle’s interior in 1915 and while repairs were carried out the main tower and clock tower were also converted, but apart from a brief period in the 1960s when the castle was used as a boarding school, Dunrobin has continued to be the Sutherland family home right up to the present day.